The speed may be 0.0001 to 80 rpm in both directions, clockwise or counter clockwise. You may be define the speed in several steps, in an linear increase or decrease of speed. As option also an oscillating or shear stress controlled mode is possible. 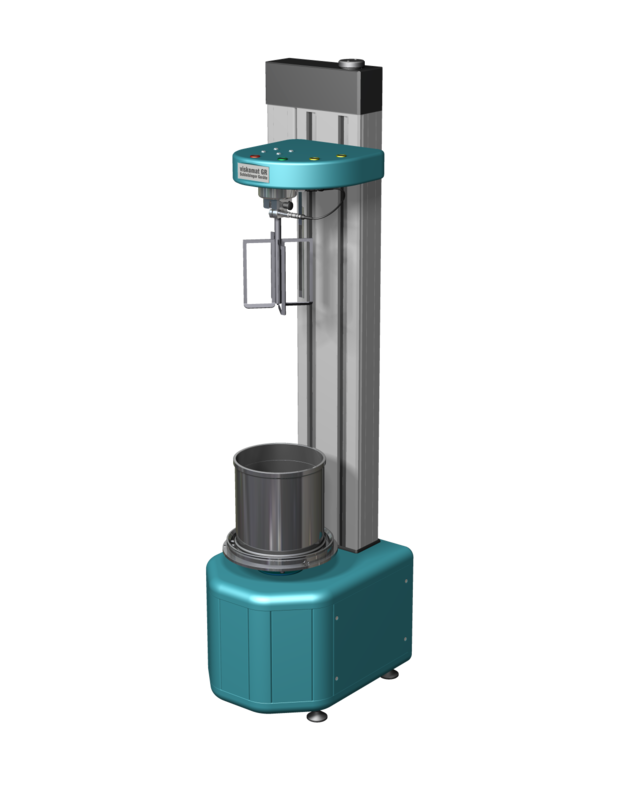 The viskomat XL has a torque range from 0..1000 Ncm with a resolution of 0.05 Ncm and accuracy better then 0.2 Ncm. Temperature control is realized by a double wall specimen container, where a cooling liquid is circulating. The specimen temperature is measured with a RTD mounted inside the shaft of the probe. The sampling rate my be set from 0.005s .. 1min. As option you may run the viskomat XL with a shear stress controlled mode. So you preset the torque over time, and the speed is automatically controlled to achieve the predefined torque. The oscillation mode gives information about the storage modulus G' and the loss modulus G'' ,as well as the plastic and elastic properties of your material. The viskomat XL is controlled via a network interface . Simple connect your PC and start your Internet Explorer, Edge, Chrome or Firefox for full control and data transfer. No special software installation necessary. Height 920mm, width 315 mm, depth 410mm, weight 68 kg. Delivered with 3.5l vessel, inner diameter 165mm, inner depth 175mm, online Display with LCD screen, 4 USB-ports, incl. 1 meas. vessel, 1 fishbone probe for concrete (max. aggr. size 8 mm ) and 1 Vane probe with 6 wings (height 69 mm, diameter 69 mm) max. grain size > 16 mm, 1 scraper, user manual. Application: Rheometer for mortar paste and fresh concrete up to 6..20 mm. safety Special proximity sensor with automatic stop function.